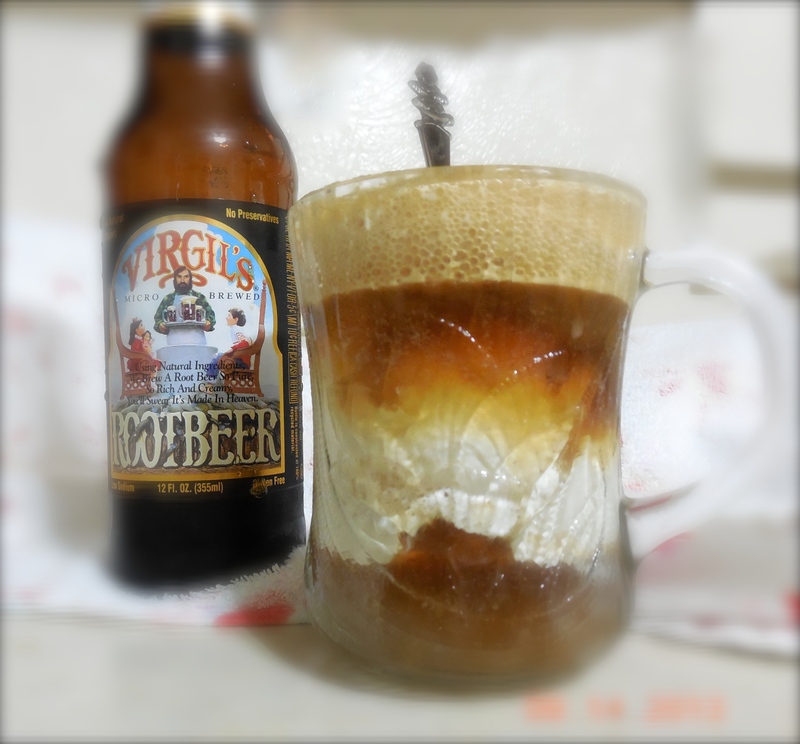 Virgil’s Root Beer – yum! all-natural Vanilla ice cream – yum! 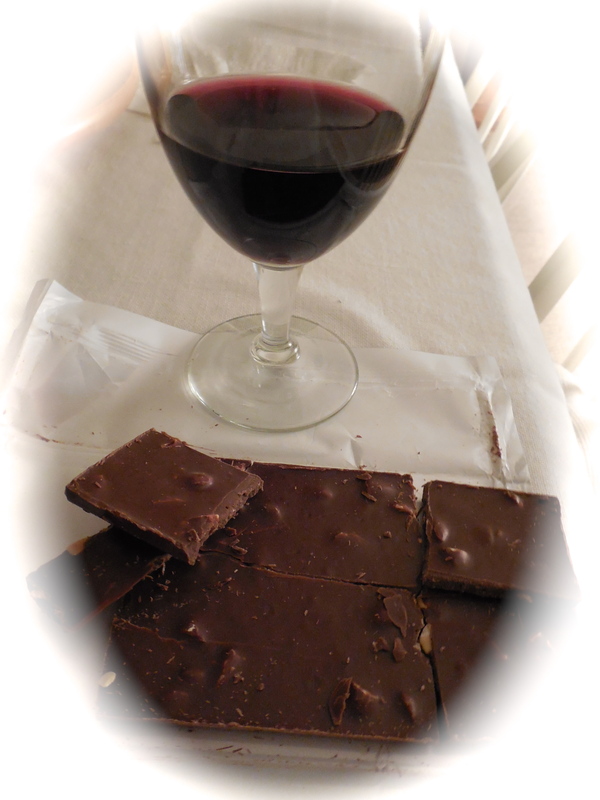 Mix together – a marriage made in Heaven! Root Beer Float – Heavenly! Make boring tuna salad exciting! I’m feeding four tonight, and I’m completely out of time to get something to the table. Tuna salad is quick and nutritious. Take a look at this yumminess! Tear or shred romaine lettuce and spinach leaves into a large bowl. Use canned or fresh, fully cooked tuna, about 4 ounces per person. In a separate bowl, whisk together a little Vegenaise with freshly squeezed lemon juice and a dash of black pepper. Mix into lettuce-tuna bowl. Dice avocado and lay on top. Sprinkle dried cranberries. Gently toss everything until lightly coated with Vegenaise dressing. At table, add toasted sunflower seeds for crunch factor. Yum! Eat. Enjoy. Share with others. There are so many different variations of stir fry. Stir fry is so easy to do and a meal is cooked up in mere minutes with this method of cooking. You can add anything you want to a stir fry that works with your tastes. My dinner tonight. After cooking all day at work, and endless cleaning of kitchen and dinner ware, I decided to do a simple stir fry with the stuff I had on hand in fridge. Mung bean sprouts, the whole bag. Rinsed. Thinly sliced carrot. Peel intact. Finely diced garlic cloves – as many as you like to taste. Bok choy sliced. Spinach and bok choy leaves. Stir fry these in a skillet with some water, I also added a splash of Tamari. Because I wanted onion in that mix too, I sautéed diced onion in a tablespoon of butter in a separate skillet. Once translucent, I transferred the onions to the veggie mix. In a separate skillet I “fried” leftover rice in a little bit of coconut oil just long enough to heat through. Stir often so the rice doesn’t burn onto pan. In yet another skillet, I reheated leftover shredded beef. Ask your dinnermates to plate their own. Rice first, then stir fry veggies, topped with beef shreds. 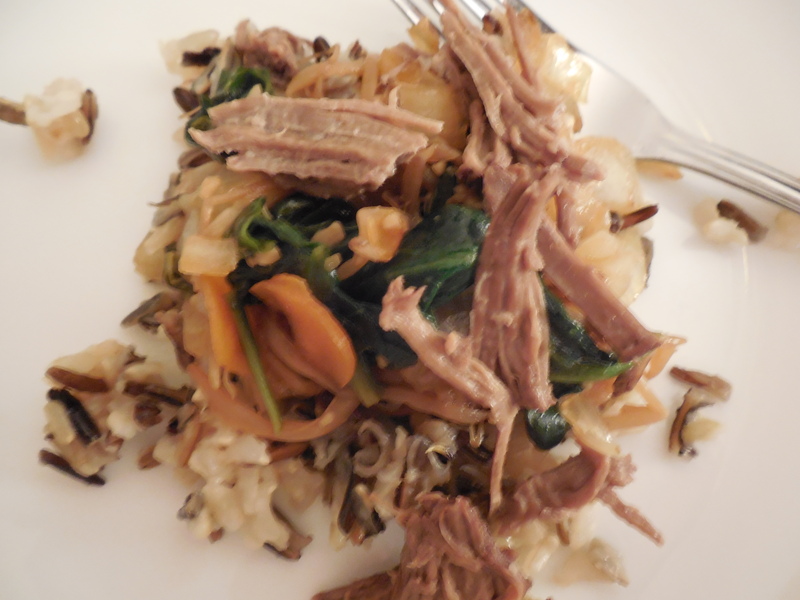 Not the clearest picture… could hardly stand still to take a photo before eating! Take some eggs, crack them open into a bowl. Scramble. Pour eggs into a prepared hot skillet (I use coconut oil to cook with) and then gently lift and stir the eggs until they fluff and solidify. Sprinkle over top with gomasio spice and Pecorino-Romano cheese. Let it sit in the skillet covered with pan only a few minutes to let the cheese melt. Re-stir before serving. 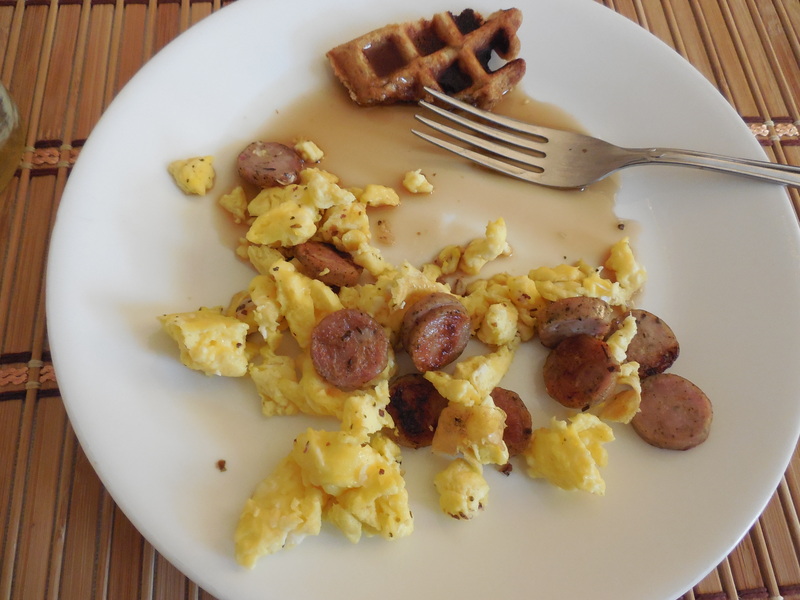 In a separate skillet, brown thinly sliced breakfast sausages. I normally eat the sage-thyme Al Fresco chicken breakfast sausage (or the wild-blueberry or apple.) As soon as the slices have crisped, stir them into the prepared scrambled eggs. Done. Serve. Separately, prepare waffles according to package directions. I used Trader Joe’s pumpkin waffle mix (which is a seasonal product) but you can make your own homemade pumpkin waffles with pumpkin puree. I have some frozen from last season’s pumpkin patch, however, time is of the essence currently and thawing frozen pumpkin puree is off the table. Boxed mix it is. Cook them up using your waffle iron. Done. Serve with maple syrup or some other flavored syrup or topping of choice. I almost ate the whole thing before snapping off a photo! 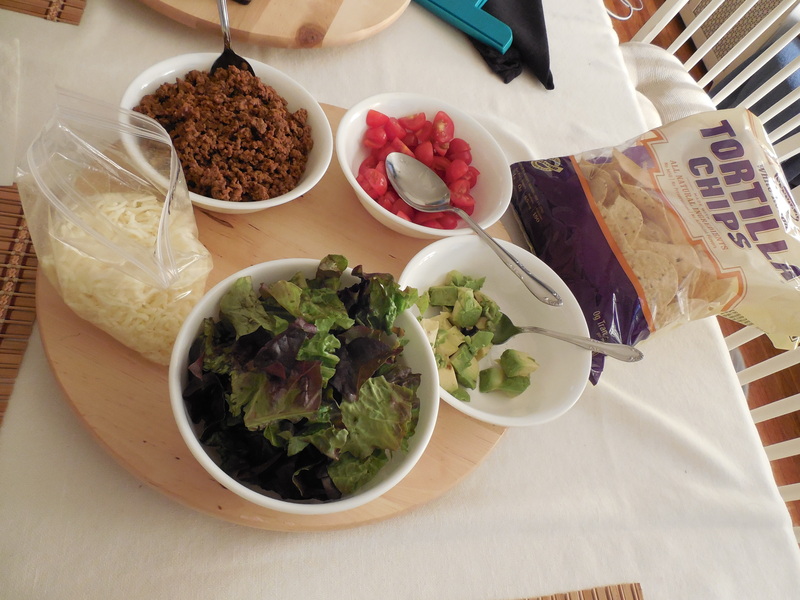 When you need something quick and easy to make that serves a bunch of people fast, taco salad to the rescue. Brown some ground meat (beef, turkey, chicken) – a pound or more depending upon how many people will be eating, and if you want any leftovers. Guessitmate about 1/4 pound to 1/2 pound per person. 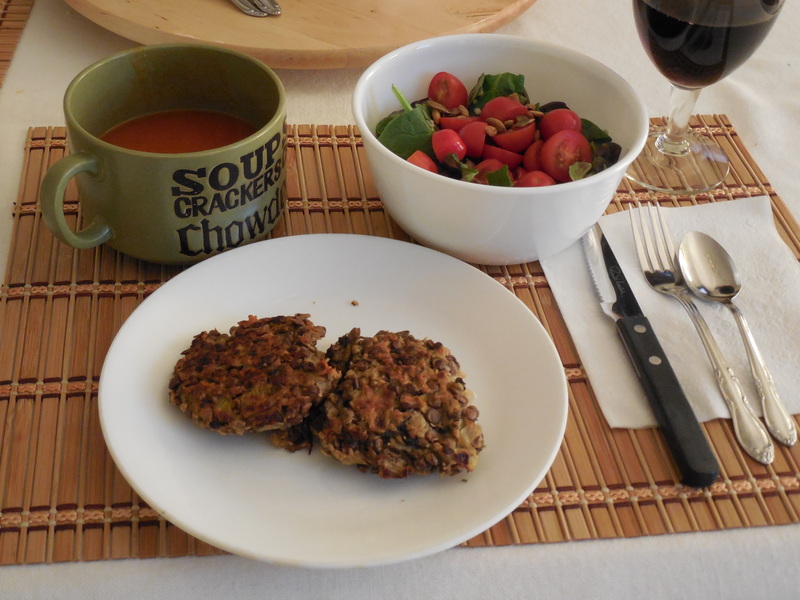 Transfer the cooked ground meat to a paper towel-lined plate to drain off excess fat. Prepare the taco sauce and add the browned ground meat. Rip lettuce leaves into bite-size pieces. Cut tomatoes small enough for bite size. Bowl up a melty cheese, such as a Mexican pizza mix. Optional toppings: salsa, avocado, black olives, diced onion, sour cream. Taco shells, for regular tacos, or you can use tortilla chips for a salad. Place servings spoons in each topping bowl. I tend to crumble the chips on the bottom of my meal bowl so that they are easier to eat. Add the meat onto the chips. Place the cheese on top of the meat to give it time to melt. Then add everything else that you want. Yummilicious. 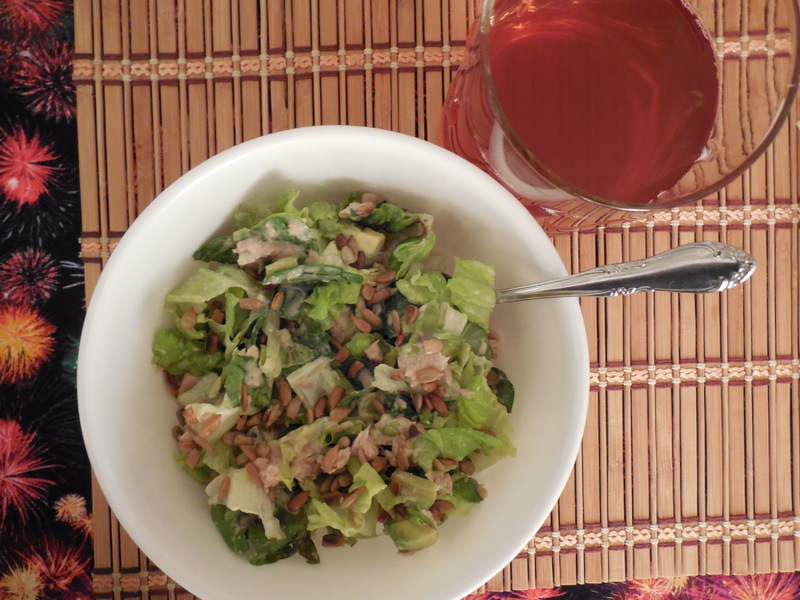 This is absolutely a great meal served with a green tossed salad (with pan toasted pepitas) and spicy tomato soup. Siggi’s Skyr is my new favorite yogurt. 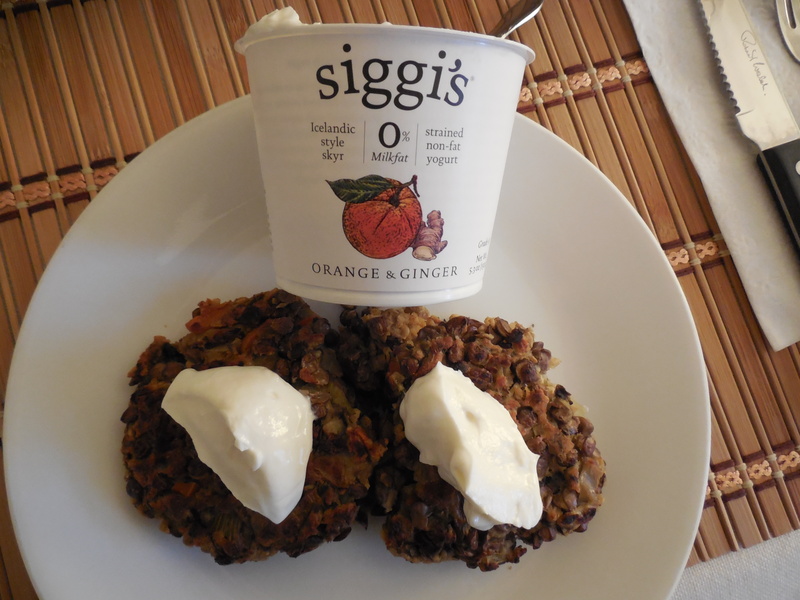 homemade lentil burgers with generous dollop of orange-ginger Skyr.